Next Round of iPhone 5 Launches Coming October 26 with India and Malaysia? BGR.in reports that Apple is planning to launch the iPhone 5 in India on October 26, moving rapidly to make the device available in one of the world's largest markets but one in which Apple has not yet gained significant traction. Multiple sources have confirmed to us that Apple is preparing to launch the iPhone 5 in India on the last Friday of this month, which happens to be October 26. As we had exclusively reported earlier, Apple will be distributing the iPhone 5 in India on its own rather than relying on its carrier partners. 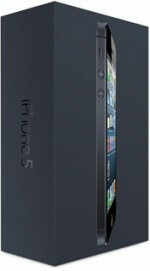 We expect the iPhone 5 to have a wider availability unlike the past where it was not available readily everywhere. This report is not the first time an October 26 launch in Asia has been mentioned, as The Malay Mail reported last month that the iPhone 5 would be coming to Malaysia on that date, pending stock availability. “If orders remain within projections made by Apple by Sept 30, the Oct 26 launch date in Malaysia together with several other countries will remain,” noted an industry source. Despite tight supplies, Apple has moved rapidly to launch the iPhone 5 in markets around the world, launching in nine countries on September 21 and following that with debuts in 22 more countries just one week later. Apple has announced that it intends to make the iPhone 5 available in at least 100 countries by the end of the year. you know what man, i could care less if in the uk iphone 5 gets lunched at the same time as the US or India.....Apple is an american company, founded and operating in US......enough said...oh and yeah, You, are not special. Of course. Your iPhone that was assembled by Chinese people, designed by a team led by an Englishman, including components and technologies invented and patented in Europe, Asia and North America built with rare Earth minerals mined in Africa, South America and Australia should absolutely only be sold only in the USA until all Americans have their devices... right. You realise what you sound like, right? And, yes, I'm not special. I'm not the one claiming to be. Well, still waiting with no shipping date from AT&T in sight.... Meanwhile, other co-workers are walking around with their 5's they got just by walking into a local Apple store early enough in the morning. It's really kind of insulting. I mean, why bother with a pre-order if they won't even fulfill them while they sell more new phones to people off the street in the meantime? Aside from the person who said they've been waiting almost 30 days, you all clearly saw the "3-4 weeks" shipping estimate and assuming you are still within that time frame I don't think you have a valid complaint. If you're outside of that window (or ordered when the estimate was less than that) then yes, you have a valid complaint. This same logic applies to complaining about waiting for orders when others are able to buy as "walk-ins" at the stores. This whole thing is a bit of a game and its nothing new. You take your chances either way, but at the end of the day NOTHING is guaranteed. If you pre-order/order for delivery you are agreeing to Apple's ESTIMATE of delivery. You may get it earlier or not. Same with people upset because they can't just walk into an Apple store and have a pile of iPhone 5's fall onto their head. You could've have pre-ordered on launch day and would likely have your phone by now. The levels of entitlement are depressing here. We have people from countries who get everything ahead of other places (The USA and my beloved UK being two) moaning that they should have their pre-orders before anyone else is even allowed to order the damn device. Why? What gives you the right to demand preferential treatment ahead of these apparent lesser nations? Listen, this is very simple: when you pre-ordered your device you were told an estimated shipping window. It was your choice to pre-order. You went ahead. You have no right to say that others shouldn't be able to buy in other territories just because the shipping window you agreed to is still open. Your shipping date was calculated with demand from other regions factored in. Therefore the iPhone 5 launching in other places has no effect on your order. So, please, stop moaning about a service that you agreed to and be happy that your brothers and sisters, fellow members of the human race, who just happen to have been born within a different set of imaginary lines on a map someplace (many of whom will have had a far harder life than you because of it) can now go and queue up for something you were free to queue up for weeks ago if you'd been bothered. Apple doesn't owe you anything and... I'll say this slow because some people really need to hear it... YOU. ARE. NOT. SPECIAL. Shouldn't they at least try to overcome the current mountain of back orders? Should also mention that this is Apple's home country. You, my friend, are using products that came from an American corporation. If you don't feel the country is special, I encourage you to stop using things that were created/innovated/designed in that, magical non-special country. Shove off. Of course, it'd probably be lost on you if I tried to explain how America and Apple exist in a world economy and that vital, pivotal aspects of various technologies would not exist otherwise. I could explain that the internet was pioneered by people like Tim Berners-Lee and that 3G technologies, LTE, battery tech, touch screens, CPUs, bits of code and various other components which go into making the iPhone would not exist today if not for the work and efforts of people from all over this wonderful planet. I could explain that without the economies of scale that come from selling products to we lesser humans, we non-Americans, your iPhone couldn't even be produced or, if it was, you'd pay a small fortune for one. I could explain that Apple may be a company founded in America but that it has operations, customers and shareholders in hundreds of countries and the money of those nations is just as good as your American dollars. I could, but you'd probably start to dribble. So I won't. I, on the other hand, am happy to be part of this world economy and the human race which also exists in places outside of the USA (who knew!? ), so I have no issue with buying products which have been designed in places like the USA and include parts that owe their existence to dozens of nations. Perhaps, since you seem so jingoistic, you should stop buying Apple products since they're built in China? Maybe you don't want a product designed by a team lead by an Englishman and requiring the use of technologies created in Japan, Germany, Canada, various European nations and more besides? I mean, if it's not USA it's not A-OK, right? No? Or, you know, maybe you'll grow up. Maybe. Just maybe. If ignorance were bliss, you would be the autocrat of a one-man utopia. Good for you India and that other country..
Nobody cares about the iPhone in India. Apple has lost the market share battle there a long time ago. Android and Blackberry own the Indian market. Its the truth. Off topic: Everytime I look at this image, I first see it as a big cupboard/closet with the right door slightly ajar revealing the contents inside just a bit. Is it just me?